Considering that I'm half Irish (the kind that has never been to Ireland) you would think I would have made soda bread before now. 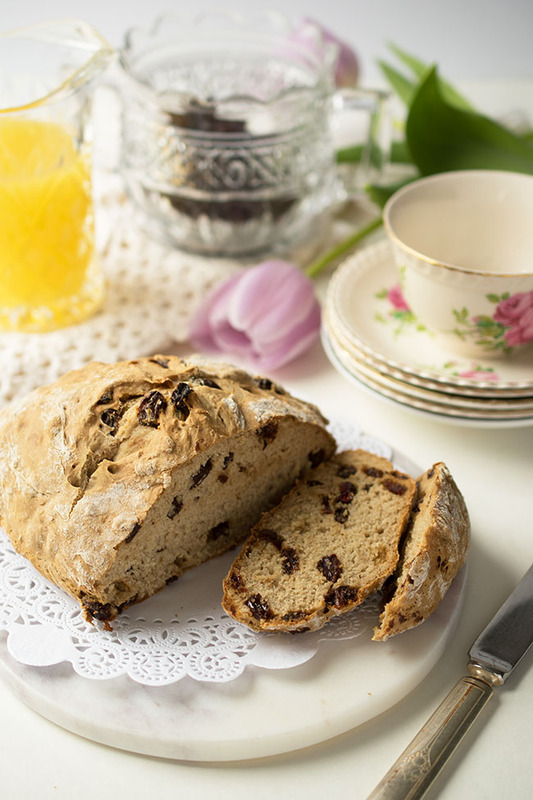 According to this history of Irish soda bread, this quick loaf was created out of necessity. For poor people with few resources, you couldn't ask for a bread that requires fewer ingredients. Flour, salt, baking soda (in lieu of yeast) and sour milk (or buttermilk). That's it! I have veganized the traditional recipe by using non-dairy milk mixed with vinegar in place of buttermilk. 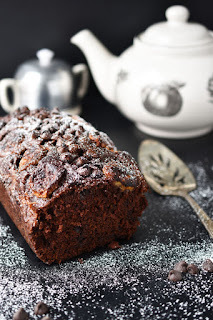 And this particular variation also calls for cinnamon and raisins. 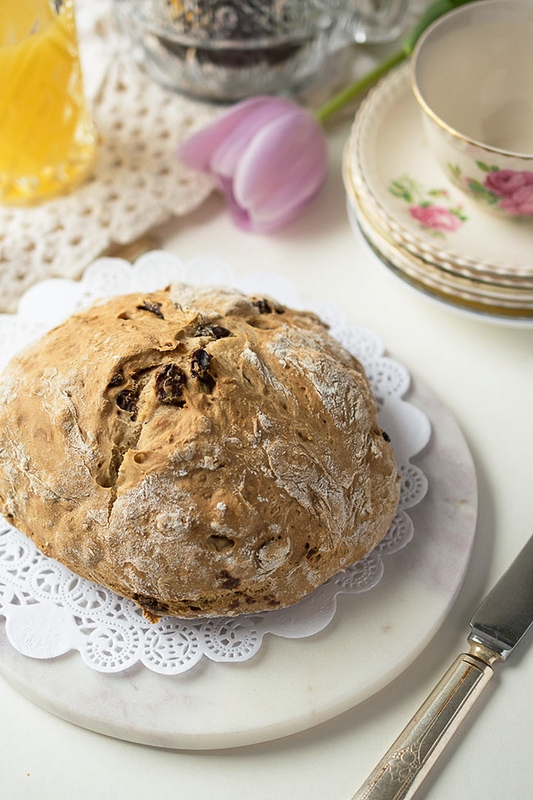 Like the Irish folks of days past, you could bake up a loaf of this soda bread each and every day. It's just that quick and easy. Plus, it's free of oil and added sugar. And it's best eaten warm, not long after you take it out of the oven. If you're eating it the next day, warm a slice up in the toaster or toaster oven and top with vegan margarine. 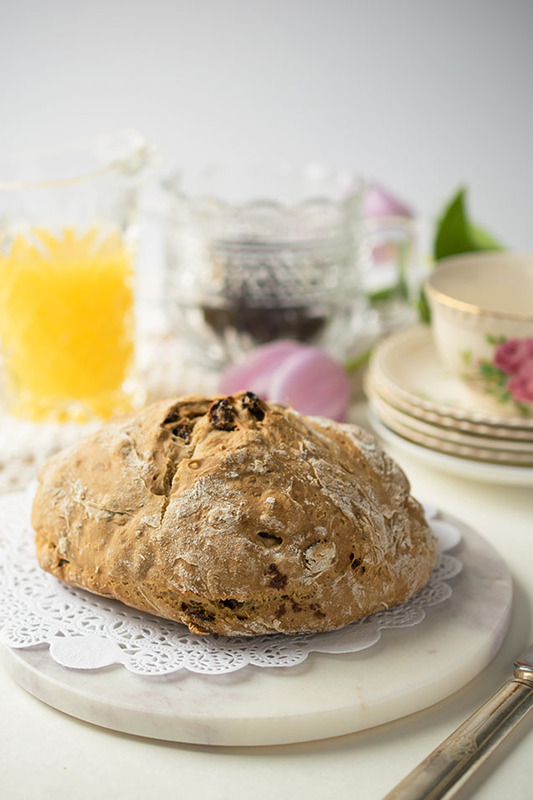 This Quick Vegan Cinnamon Raisin Soda Bread is crunchy on the exterior and just chewy enough on the inside. It smells amazing when it's baking, largely thanks to the cinnamon. 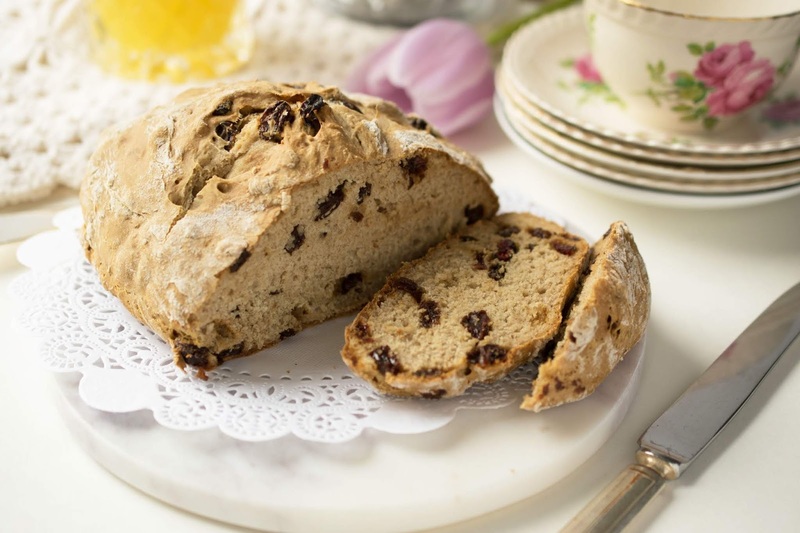 The raisins give the bread a nice touch of sweetness. Enjoy it sliced with a cup of tea or as a side to a main meal. 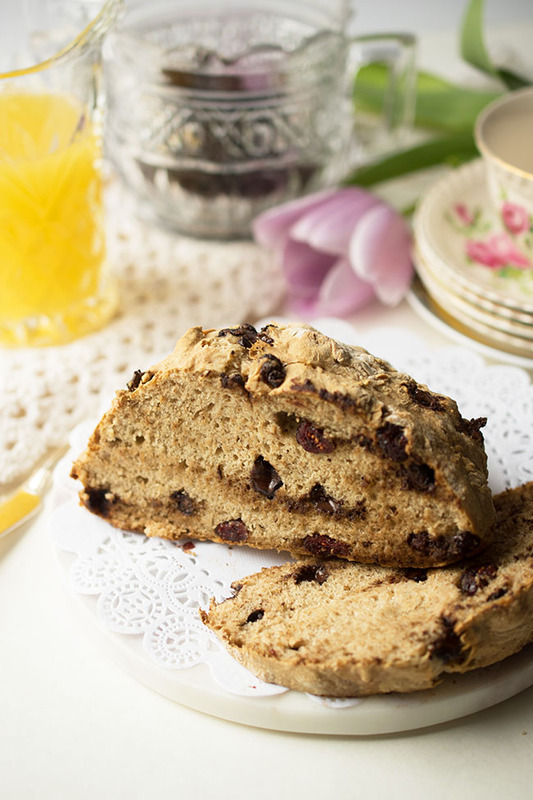 This soda bread is very versatile. This bread would also pair nicely with soup. I'm including a variation made with chocolate chips and dried cranberries (pictured above and below) as well. It was my daughter's request - every time we go to the health food store we pick up buns with chocolate and dried cranberries in them. They are so delicious! Are you any-part Irish? 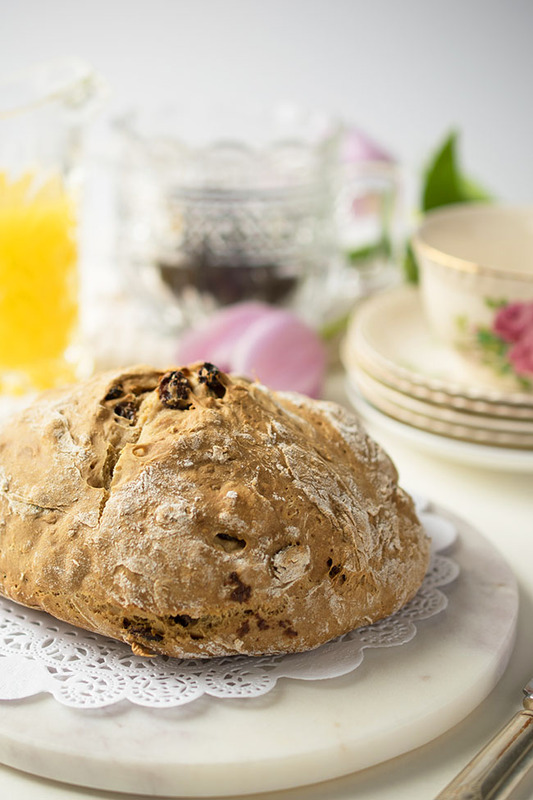 Have you ever made soda bread? 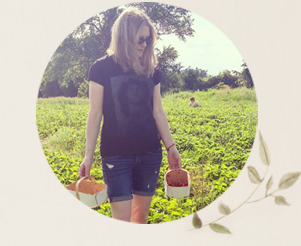 Are you a fan of raisins? What else would make a good mix-in? 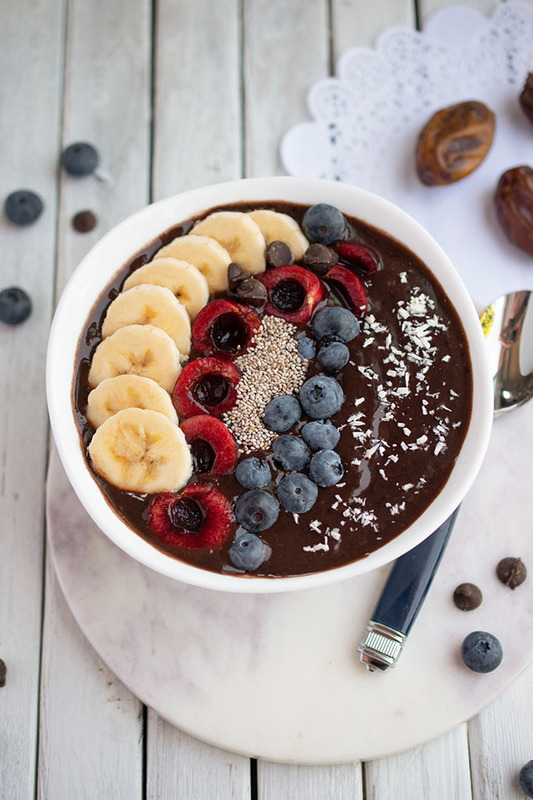 In a small bowl, mix non-dairy milk and vinegar and set aside while preparing remaining ingredients. Place flour, salt and baking soda in a large mixing bowl and stir together. 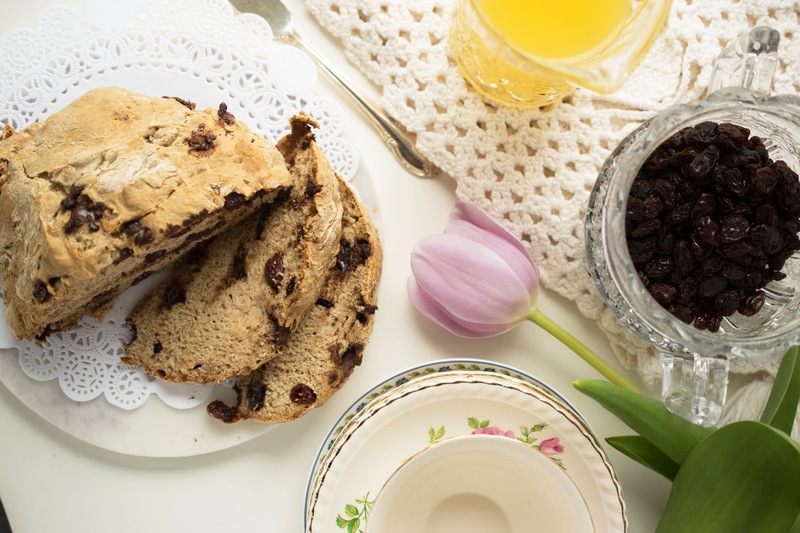 Fold in milk/vinegar mixture, cinnamon and raisins (or chocolate chips and dried cranberries). Turn dough out onto a well-floured work surface. Roll through flour and knead a couple of times until no longer sticky. Score an X on top so steam can escape. Bake for 20 minutes or until darkened to your preference. 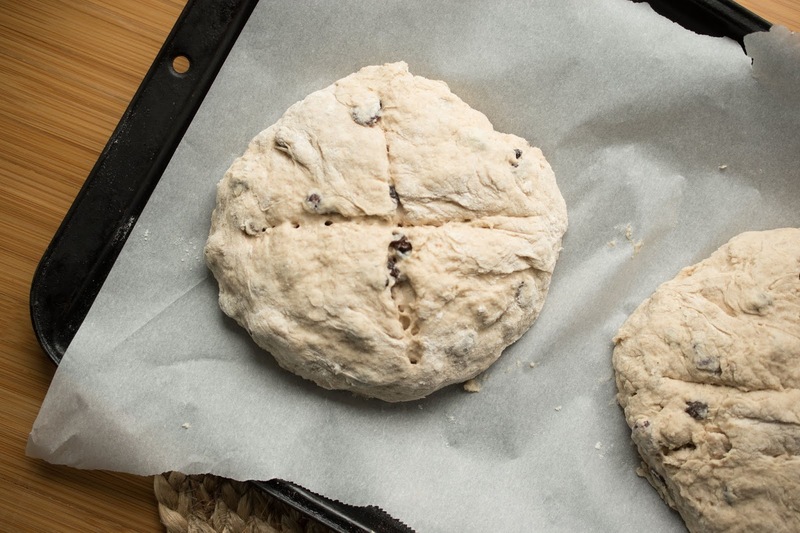 I actually made soda bread a few years ago... and totally forgot about it. I really liked it though! I love your cinnamon version. You really can't have too much cinnamon! I go through phases. So I'll make it for days and then I probably won't make it for months. ;) You're right, cinnamon is always nice! Thanks Laura!